I am sad to announce that we will no longer be offering the free versions of MineChat. There are many reasons for this, but I will discuss just a few. 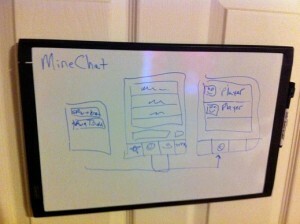 Working on MineChat and mobile apps in general is not my full time job. I did this for fun to begin with and did is as a challenge to see if I could make it work. 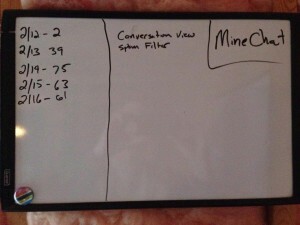 So four years ago I launched the app and it was a raving success (you can read more about it in this blog post http://www.minechatapp.com/uncategorized/how-minechat-was-born/ ). Over the years it has been a roller coaster ride of daily users, we have had over 1 million downloads across all platforms. But today we just do not have enough users to make up for the amount of effort that has to go into the app. I don’t know if this is because Minecraft is on a decline, my terrible coding or people do not want to be bothered with ads in an app. But its clear that its just not sustainable on the current path. Nope, it doesn’t work that way. Ads in mobile apps is a very tricky business, that alone is a full time job. 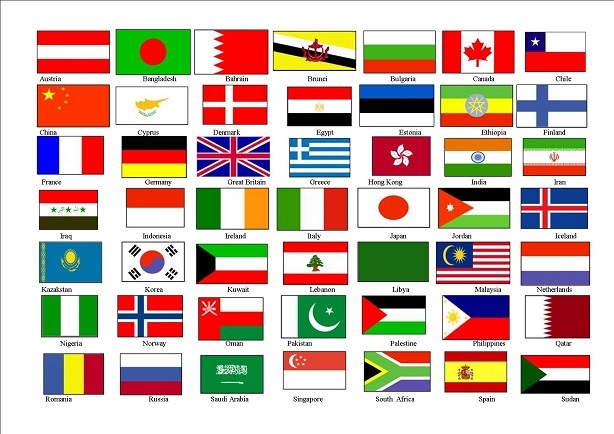 On average you need to show 1000 ads to make 30 cents, yep you read that right, 30 cents for 1000 displayed ads. Some days its as low as 15 cents. I have tried many ad networks over the years and Apple paid the best at about 45 cents, but they completely stopped their ads business last year so that vanished. Another problem is that MineChat does not lend itself to ads. 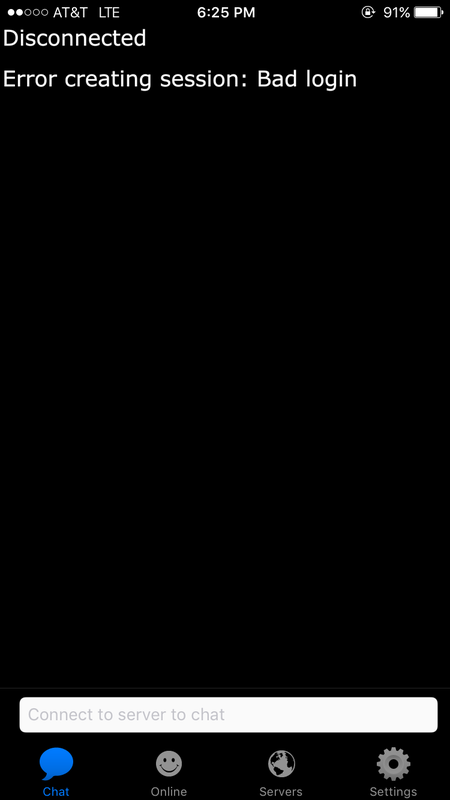 Most games have “levels” or a stopping point where an ad can be shown. That does not work in a chat app as I am sure you are aware. You will be in the middle of typing a message and a full screen ad pops up. I never liked this, but there was just no other way to do it. 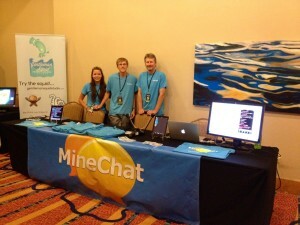 “So MineChat is going away?” Absolutely not! 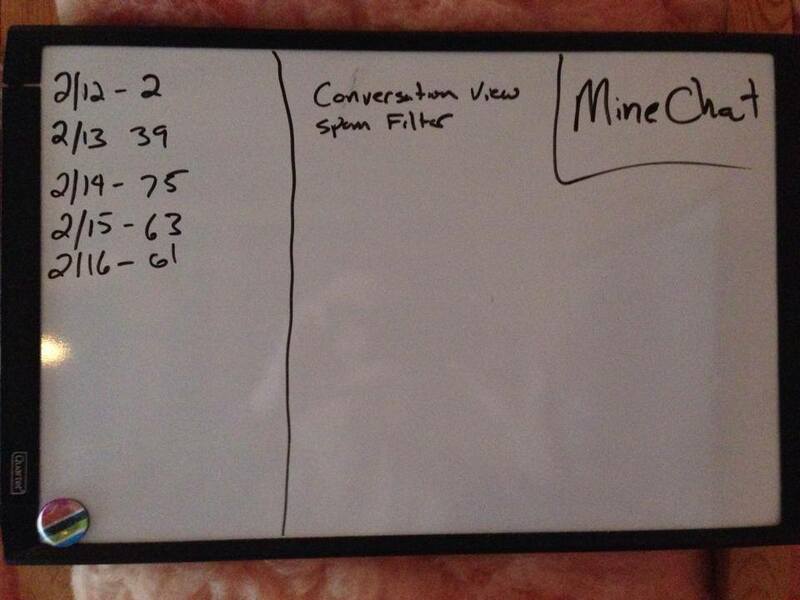 I will continue to improve, support and maintain the paid version of MineChat. I hope you choose to download it for just $3 and get the benefit of no irritating ads. If you currently have the free version installed, it will continue to work and work with the current version of Minecraft 1.12.2. Our MineChat users have always been the best and I hate that I have to discontinue the free version but that just the current state of things. 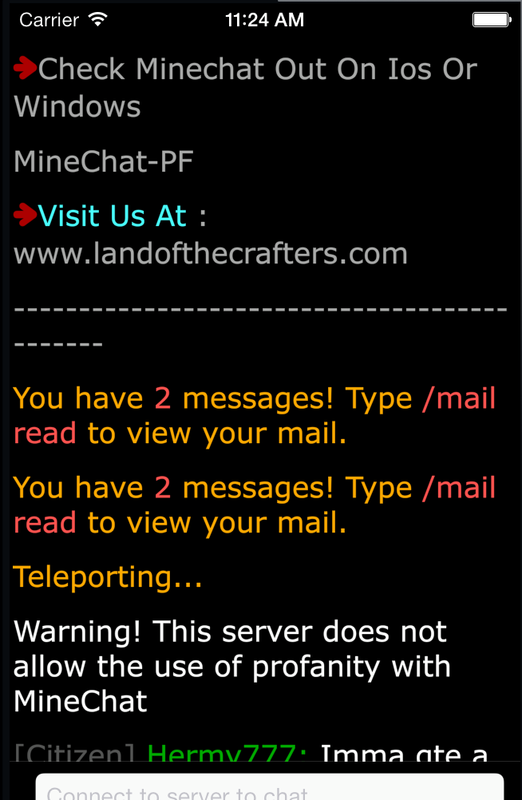 As always, email me (from the about page in MineChat) with any questions or comments. 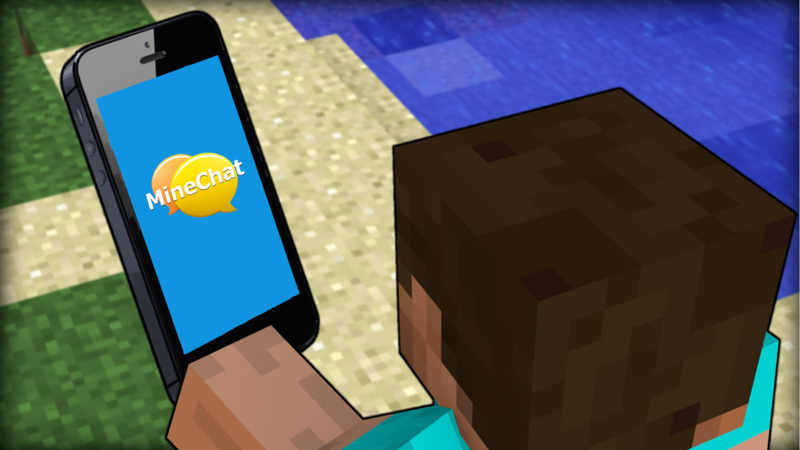 I am looking forward to continuing to improve MineChat and work with you guys to make it the best Minecraft chat app available. 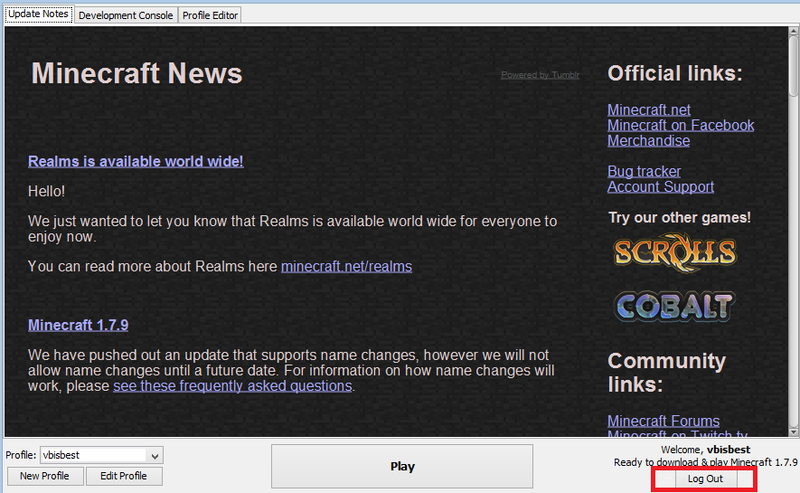 We have now added support for Minecraft Realms. If you haven’t heard of Realms, you can read more about it here https://minecraft.net/en-us/realms/. 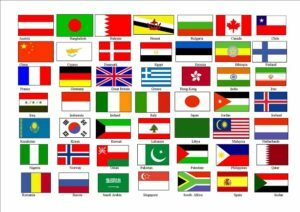 But its basically an easy to use hosting solution for small worlds. Connecting to your Realms server is easy with MineChat. 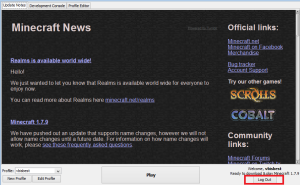 You must have already setup you Realms world and accepted the TOS (Terms of Service) in Minecraft. 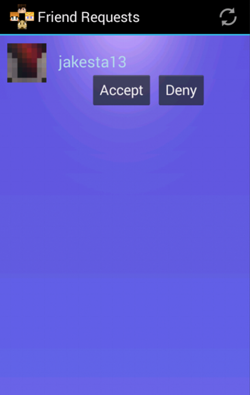 Once that is done, your worlds will show up in MineChat automatically! 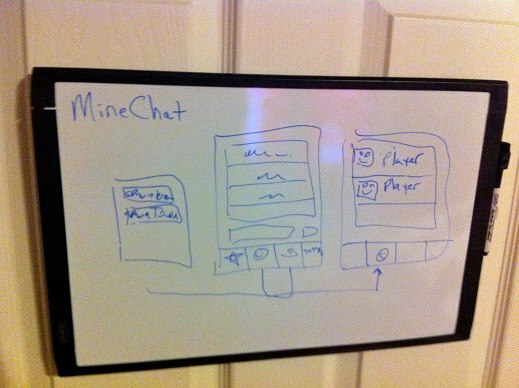 As always, let us know if you have any issues using MineChat. If you get an invalid username or password error, the cause is more than likely that your username is incorrect. When Minecraft first launched, they used your IGN as the username. Over time they started migrating accounts and switched to using your email address. So as a first step, make sure you try both your IGN and Email address as the user name. 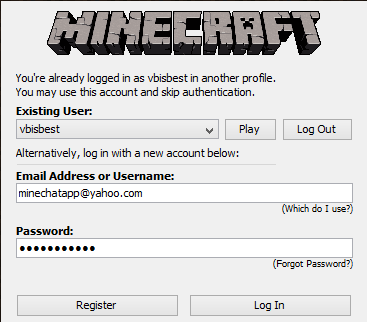 If that still fails, then you will need to use Minecraft to verify your credentials. 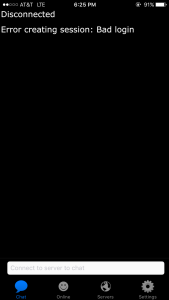 If you are already logged in, you will not be able to see the user name. In the case you need to “Log Out” (see image below) and try logging in again. If this also fails then you must have forgotten your password. In this case you will need to use the “Forgot Password” feature and reset your password. Mojang will email you a new password and then you should be all set. Try it in Minecraft first and make sure everything works. 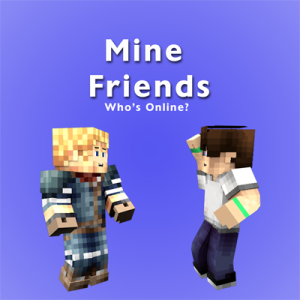 Then you can use the same credentials in MineChat and be all set to chat away! 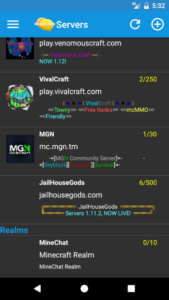 Offer a rank higher than a nooby if they join the server permanently. Give them in-game server money. Offer a certain amount of diamonds! 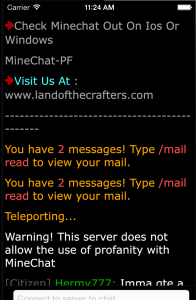 Make it an automatic message telling them that perks that could happen when they join the server as a regular. Just something simple so newcomers think “hey this is cool! 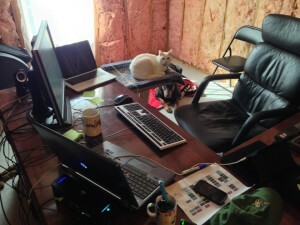 I kinda like this server! I think I’ll stay and play more!” So just a small tip for you all, whether you already own a server or you are just now starting one.